I didnt even bother to click the link Necole Bitchie tweeted, "Did Wayne Really Say That?" earlier today. At this point most of you know Im not really a Wayne fan, so it wasnt of interest to me. I can tell you that my first thought was, "whatever it is, he probably did say it." lol..just being real. Wayne comes off as an artist, just extremely cocky and vulgar. One of the reasons I dont get down with his music. Wayne is great at what he does, but I always find myself completely turned off by such an intelligent and gifted man's choice of words. Take "Steady Mobbin" or even Drake's "Miss Me". Im always left pondering, "Why?". For me its as simple as not buying or listening to Wayne's music as an artist because I dont usually dig it. For my readers and Necole Bitchie's readers that line between someone as an artist and someone as a person may have been crossed with Wayne's supposed comments to a dark skinned woman. Here is one of the 4 emails I got today..
CAN YOU PLEASE FEATURE THIS IN YOUR BLOG. ITS A WIDELY DISMISSED ISSUE THAT GOES ON IN THE BLACK COMMUNITY AND IS DISGUSTING. SARAH VIVAN'S BABY IS MENTIONED. Read what she is referring to after the jump..Again.. I hope its not true...buuuuuuuuuuut..
Letter sent in to Necole Bitchie..
My friend Tammy is a model she had a couple of photo shoots to go to in miami ..after going to her photoshoots we met up with mack maine from young money, he then took us to a hotel a couple of other girls were there and so was lil wayne, guda guda, lil chuckee, and birdman. My friend Tammy is light skin and me and my friend jessica are dark skinned chicks, when we entered the room guda guda was like “damn ya’ll pretty to be dark skin” and then wayne quoted a verse from one of his songs that said “Beautiful Black Woman i bet that b*tch look better red”. Now there is nothing wrong with preference..please believe I have mine, but some things are just ridic. I hope he wouldnt have insulted his daughter, ex wife, mother, and any other beautiful dark skinned women tied to him. U know I try not to believe everything I hear but I'd be willing to bet my next paycheck that he did in fact say that ignorance. Taking nothing away from Wayne because he's extremely talented but as talented as he is he's the same IGNORANT! And money only MAGNIFIES his ignorance. But he doesn't care what any of us think remember he's the same person that said on national TV that he didn't give a F about Hurricane Katrina until he got a call that one of his family memebers or real close friends died in it. #pray4him and his kids especially dark skinned ones lbs! i kinda dont think Wayne said this or maybe it was misinterpreted, MAYBE :/ I know him a little and it doesnt sound like him. BUT .....REGARDLESS whether or not Wayne made the comment,whether or not he said & meant those words... thats not exactly what bothered me. what bothers me is that its a LIVE mentality in African-Am this whole COMPLEXION issue is a SICKness [PERIOD. There are ALOT of women who are offended by this comment who have also made statements that they LOVE 'LIGHT SKINNED' brothers or even LOVE 'DARK SKINNED CHOCOLATE' brothers, just because your preference is aimed at the object that may be considered less favorable does not mean that You are not part of the problem. STOP MAKING COMPLEXION an issue altogether. How many converstaions have you had about 'that LIGHT SKINNED GIRL' or ' that DARK SKiN chic' IM TIRED OF IT AL TOGETHER whether Wayne's saying it or my neighbor, or my best friend, or my Spelman sister or Morehouse brother. WHY ARE BLACK PPL SO INTENT ON MAKING THE COMPLEXION of their own skin AN ISSUE??? I leave it at that question because before it came out of WAyne's mouth it was a revolving door of judgement that Blacks are imposing on each other. Ironically Wayne's comment was publicized today.. I had been in 3 conversations with friends who brought up skin complexion in statements like 1-"i think he only likes 'LIGHT SKINNED' girls i mean look at who he's dated" and another friend saying 2-"if thats what he like thats what he like, HELL I LOVE ME SOME LIGHT SKIN men, husband is light skinned" BOTH COMMENTS FROM BROWN to dark skinned black women. THIS VIEW OF SKIN COMPLEXION & OBSESSION over SKIN SHADE IS DESTRUCTIVE to all races actually, Asians, Whites, Hispanics, Indians have all exhibited this obsession (Google Skin Bleaching). So YES WAYNE IS DEAD WRONG for making those disgusting statements.... BUT HOW MANY TIMES HAVE YOU PARTICIPATED IN THE SAME MENTALITY? I know there's got to be people like me who were raised around more cultures and have heard Dark-skin and Brown-Skin being praised as Gorgeous and Beautiful.... and if you werent raised that way, and if you arent used to hearing that perspective.. PLEASE LOOK IN THE MIRROR & FIND YOURSELF ATTRACTIVE. I'm begging of you to really look in that mirror and see all the beautiful things about YOURSELF cause if you cant, than its no one else's job to make you feel good or bite their tongue. FIX THAT first, then throw a bucket of ice at Wayne's face and laugh at him and his own Self-hatred. THEN TELL all the Dark skin children girls and boys what you think is beautiful about them. 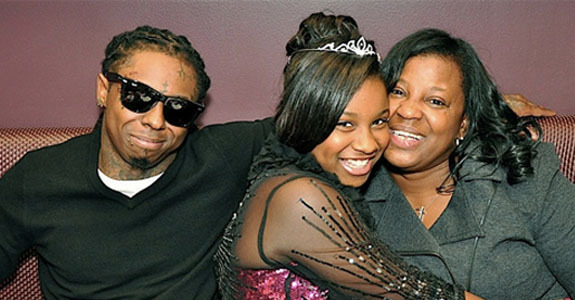 If Wayne's father had felt the same way the world would be missing one less UGLY & DARK SKIN jackass rapper.I wonder how he would feel if light skinned women didn't like UGLY DARK SKIN men unless they had million$$ and agreed NOT to expect them to deliver their ugly DARK SKIN babies!